The presentation will describe the historical landscape including plants, people, river and surrounding mountains. “The way of life” is how many elders described everyday activity that involved chores, work in the fields, seasonal storytelling, seasonal harvesting and craft making of baskets, bows, and arrows. Come take a journey about the River People who live in the desert. Event is located at Chandler Museum in the Saguaro Room. 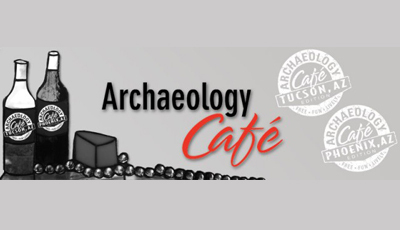 As a tribal member of the Salt River Pima-Maricopa Indian Community, Royce Manuel has long played an important role in perpetuating cultural knowledge within the tribal nation by service to the Auk Mierl Aw-Aw-Thum. Royce maintains the distinction of keeping the Calendar Stick. Today, he continues to record and initiate collaborative projects that will engage the Aw-Thum (O’odham) sister tribes in creative strategies of integrating the Calendar Stick concepts into projects, design, wellness, math, science and critical learning. Debbie Nez-Manuel (Diné) has a Masters in Social Work, Arizona State University and is experienced in both non-profit and tribal communities. 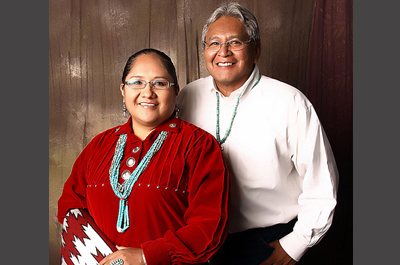 Debbie’s traditional and bi-cultural lifestyles, provides valuable insight and practices in both urban and tribal community settings while preserving, strengthening, and renewing cultural identity.